Here are various samples of my personal artwork and sketchbook drawings. As you can see, I enjoy dabbling in various art mediums including ink, pencil, acrylic, oil, encaustic, clay, and more. I am always creating something and so be sure to check back here for any artistic updates. Contact me if you like something here and we can work something out. Blind contour charcoal drawing of Rafael who was a fellow that taught me how to latin dance at the Toronto club, El Convento Rico, 1997. 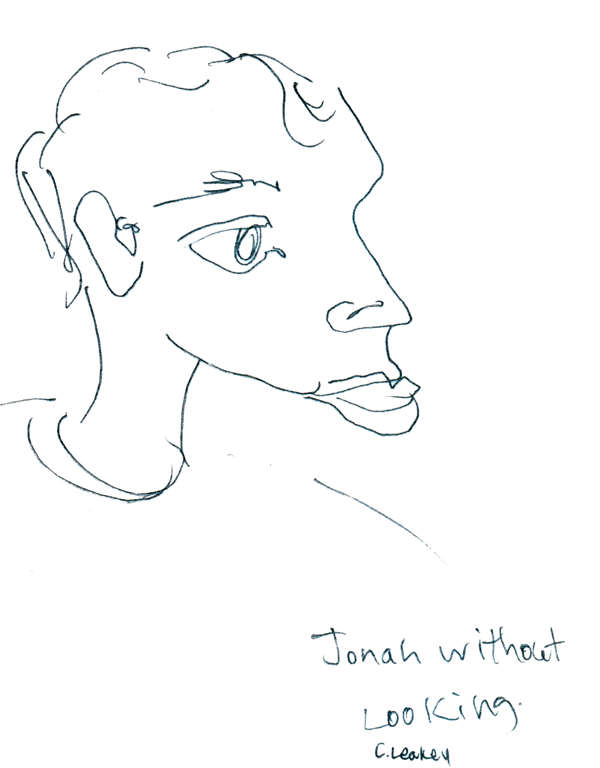 Blind contour of an audience member at one of my live musical performances in 1996. Blind contour of a movie extra on the Molly Shannon film, Superstar in 1998. Blind contour of Phil from the Canadian rock band, 5440 in 1996 when he came out to see one of my live musical performances. 1234567 How many days until I get to Heaven? 1994 ink on line paper. I remember drawing this during a digital theory class. Doodling is proven to help amplify ones focus! 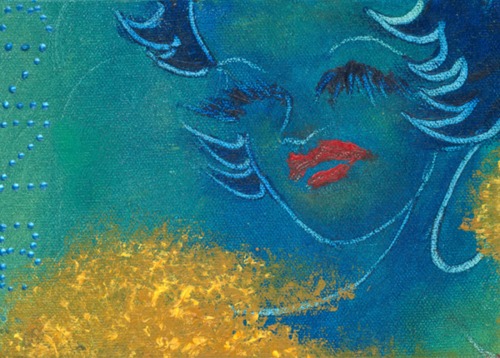 2001 oil paint on cardboard shoe box lid. Inspired by a painting I saw at the Louvre.